AWESOME LAYOUT! 9 feet ceilings on main floor, hardwood throughout the main floor and 2nd level, lots of window throughout....bringing in all the natural light!!! Big bright kitchen with oversized island, granite counter tops, S/S appliances, huge pantry, vast amount of beautiful maple cabinetry...offering tons of storage, office, laundry room and 2 pc bath. Upper level offer 3 generous size bathrooms, Master bedroom with 4pc spa...featuring Roman columns, jetted tub, separate shower, vanity and another 4 pc bathroom. Fully finished basement has a large rec/ living room, huge 4pc bath and another great size bdrm. Oversized two car garage located on a quiet street. Just steps to School, park and huge open sports field. 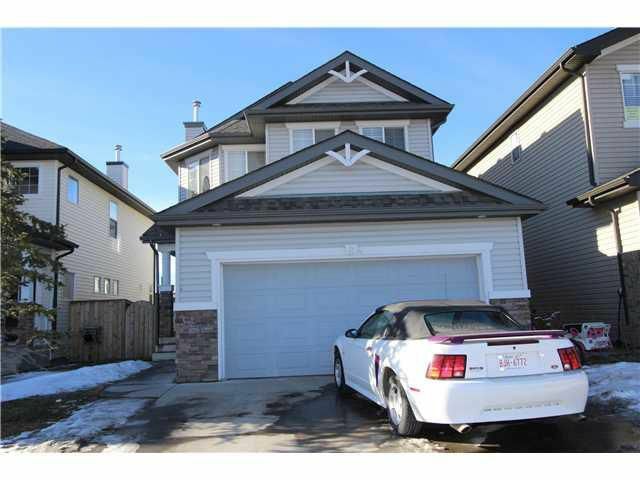 Short drive to Cardel Place, public library, ice rinks, many restaurants, movie theatre and shopping, Easy access to Deerfoot Trail.